Engineers at the University of Southampton are helping to bring the BLOODHOUND SSC supersonic car project into the classroom and lecture theatre. World-leading experts in the School of Engineering Sciences at the University of Southampton are working with the BLOODHOUND SSC team to develop exciting ways of bringing science and engineering to life. The University of Southampton is one of the UK's most active promoters of Science, Technology, Engineering and Mathematics (STEM) in schools, and runs extensive outreach programmes in engineering, chemistry, physics, acoustics, mathematics, oceanography, electronics and computer science. Dr Kenji Takeda, senior lecturer in aeronautics at Southampton, explains: "We desperately need more smart young people to become scientists and engineers to tackle the big issues of the 21st century. Moving towards a low carbon economy is a massive challenge, and a big part of the solution is new technology. The youngsters of today are the ones who can step up to the plate and help create this new world." As a key member of the BLOODHOUND Education Team, the University will bring its extensive expertise and enthusiasm in engineering outreach to the project to help engage youngsters in STEM subjects inside and outside the classroom. This is the core part of the Bloodhound Engineering Adventure, a UK project to stimulate the next generation of scientists and engineers to deliver the low-carbon economy of tomorrow. Dr Takeda, the Southampton member of the BLOODHOUND Education Team, continues: "Engineers know that what they do is incredibly exciting, but putting that across to youngsters is tough. We're trying to take science into the classroom in a way that is exhilarating and inspiring. This iconic project is pushing the boundaries of engineering, and we're inviting everyone get involved." The University of Southampton is also helping to develop BLOODHOUND@University, led by the University of the West of England Bristol (UWE), and working with Swansea University, in conjunction with the Engineering and Physical Sciences Research Council (EPSRC). 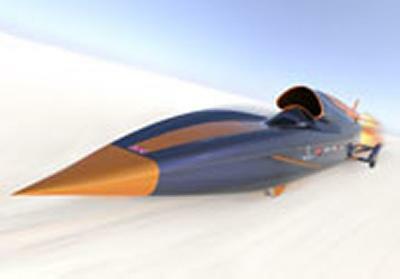 BLOODHOUND SSC (www.BLOODHOUNDSSC.com) is unique in providing open access to the engineering design and operation of the supersonic car and record attempts. BLOODHOUND@University will provide undergraduate students with a deep insight into the design challenges faced by the engineering team, and how they are overcome. Test data and engineering models will be made available, to provide a tremendous resource for lecturers and student alike. Dr Takeda adds: "We have a huge opportunity to provide a step change in engineering education at university. Access to this level of engineering design detail in a real-world, cutting edge project, is unheard of. We hope that it will provide additional motivation to undergraduates to excel and become world-leading scientists and engineers."